Hi Everybody! I hope you're having a fantastic day! I don't know, but, if you're like me, but every now and then I see a color palette that really gets me excited. 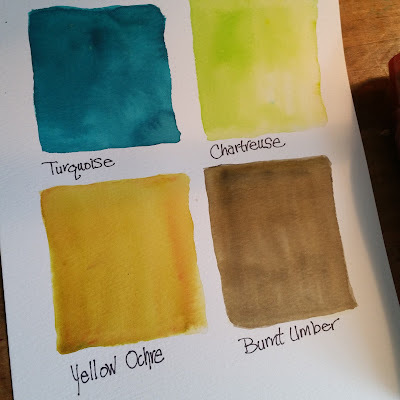 Recently, I noticed that the Color Burst colors Turquoise, Chartreuse, Yellow Ochre and Burnt Umber look fabulous together! And I wanted to challenge myself to create some work this week with this color palette. The challenge is pretty easy, just create something that you like, using these 4 colors. You can create anything you wish, a card, a mixed media piece, a collage, a painting, a tag, a scrapbook layout...heck, knit a scarf using these colors together! You'll love the result! 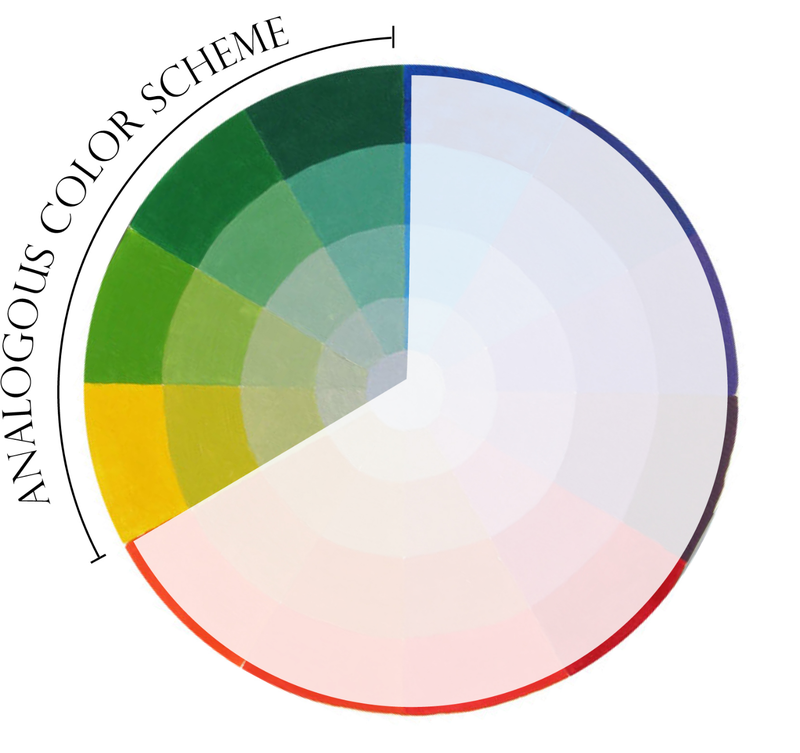 Here's why this color palette works, it's an analogous color palette, that means these colors are beside each other on the color wheel. 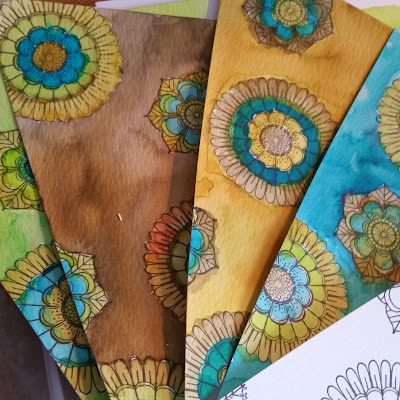 So, because their made of blues and yellows, when used together, they create a very harmonious color effect that is cooling, relaxing and peaceful. You can see below, on this example, how the colors fall beside each other on the color wheel. So, let's see what you can do with these colors! 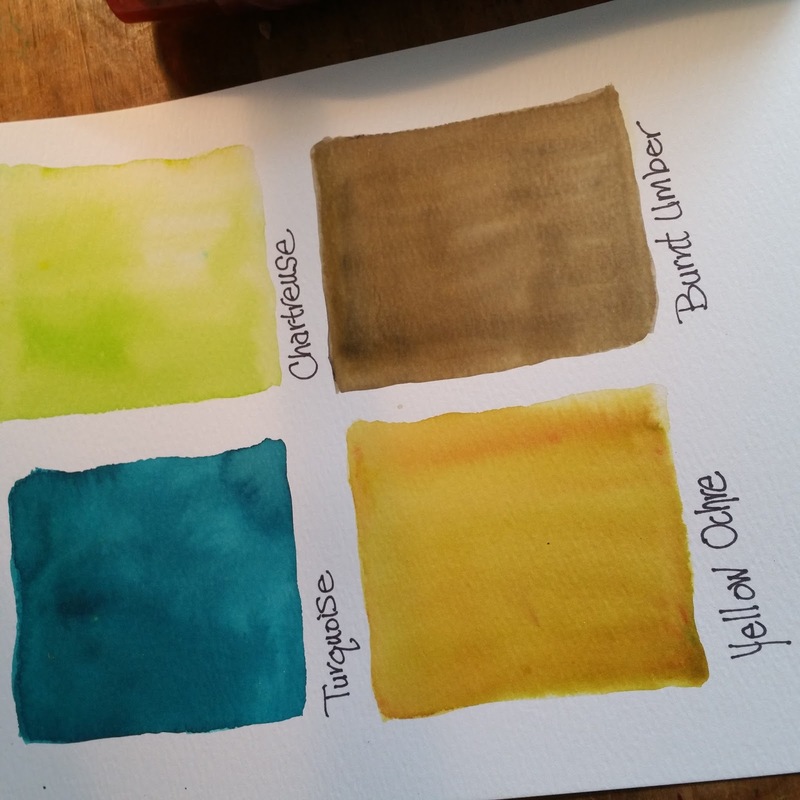 Try creating something with this color palette and post a photo on Ken Oliver Crafts on Facebook! I'll share the photos as they're submitted. 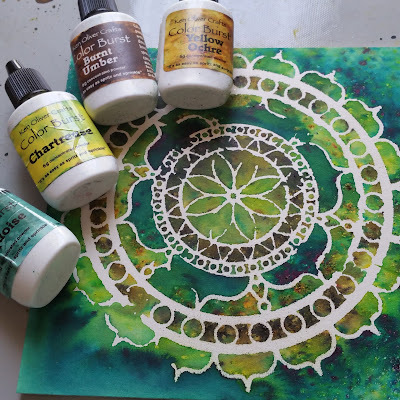 I know you'll love creating in this color range! Our color challenge will be open through Monday, so you have the weekend to play! On Monday afternoon, I'll select a color challenge winner and send out a set of Color Burst Caribbean Brights to the winner! Your entry can be any kind of art that you wish! 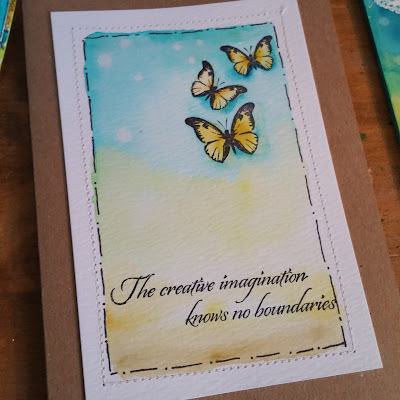 I'm looking forward to seeing what you create! Totally in love with those colors and now I know why!!!! #3 Lauren Bergold. Delicate and hand drawn-beautiful! I really like your blog. 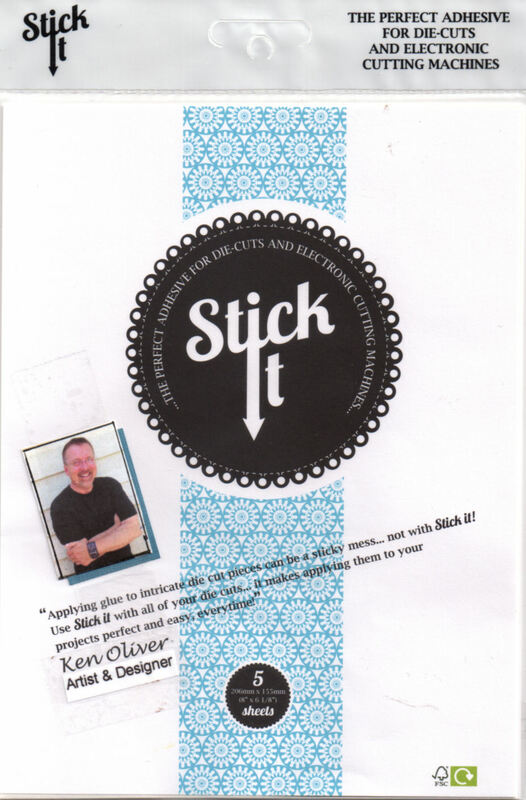 and your pictures are magnificent and very inspiring. will there be an exhibition in the nearest future where I can see it live?